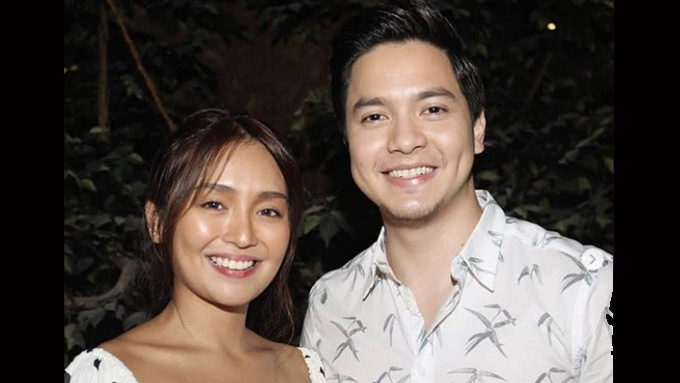 Kathryn Bernardo and Alden Richards, now tagged as the KathDen tandem, will be paired in a Star Cinema movie to be directed by Cathy Garcia-Molina. GMA-7 homegrown talent Alden Richards will be doing a movie for the first time with ABS-CBN actress Kathryn Bernardo. In her previous romance movie, Kathryn was paired with her boyfriend Daniel Padilla for the film The Hows of Us. According to ABS-CBN, the latest Kathniel movie grossed over P800 million worldwide. This 2019, Alden and Kathryn will be directed by Cathy Garcia-Molina in a romance drama about young overseas Filipino Workers (OFWs). The movie will be shot mostly in Hong Kong. Why did Alden agree to do this Star Cinema movie? "Siyempre, first time kong makakatrabaho si Kath. We've been seeing each other for a long time. "One time, we shared a common endorsement. Nagkita na kami sa mga past events. "This is the first time that I'll be working with her and with Star Cinema. It's a great honor and experience kasi I'm really in that stage of exploring the craft and my capability as an actor," said the Kapuso actor in an interview with ABS-CBN News. When Kathryn was asked how she felt about working with Alden, she admitted: "Kung tatanungin niyo ako kung kinakabahan ako, super!" Alden added, "Ako rin, super!" As for working with Direk Cathy, Alden admitted that he is a fan of the blockbuster director. "Ang dami kong pinanood na film na gawa ni Direk Cathy. Isa na po dun ang One More Chance. "To be directed by someone who made that film, sobrang fan po kasi ko talaga ako ni John Lloyd [Cruz]. "Nung nalaman ko na Star Cinema at Kathryn ang makakasama ko, parang total package na po...wala na po akong hihingilin, sobrang saya ko po na nabigyan ako ng chance na ganito."